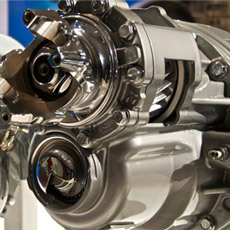 In the Australian heavy duty truck market Dana is recognised for the reliability and durability of their product range. Major Australian OEM's incorporate Dana products into their vehicles because they know that Dana will exceed their expectations and those of their customers. Dana Australia assembles drive and steer axles for local truck manufacturers as well as the assembly of heavy duty drive and steering shafts. Dana is available for consultation on new model development and advice on industry specific applications. As the world leader in innovative axle technology, Dana provides a full line of the most efficient light-duty, medium-duty, heavy-duty, and specialty drive axle products available for commercial-vehicle applications. Our exclusive combination of patented technologies and designs ensures long service life, reduced maintenance, and more durable axle products. The S170 & S190 Single Reduction Single Drive Axles are equipped with features to ensure optimal operation. These are designed to withstand demanding vocations. The D46-170 Single Reduction Heavy-Duty Tandem Axle is the ideal solution for construction. Lower maintenance required many available options are offered. The DSH 40-41 High-Performance Single Reduction Tandem Drive Axle removes the need for strict drivetrain. 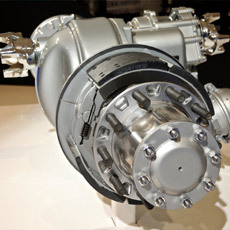 This design provides optimum tandem drive axle performance. Single Reduction Heavy-Duty Tandem Axles and Tridem Axles are the ideal product for many applications. A full range of available options offers optimal operation. Visit Dana's Drive Axles global page for an overview of all drive axles supplied by Dana globally. At Dana, our world-class innovations offer the highest efficiencies in a full line of medium-duty, heavy-duty, and specialty axle products for all commercial-vehicle applications. As the world leader in steer axle technology, we provide our customers with the most versatile, durable, and reliable steer axles on the market. At Dana, patented designs ensure long service life, reduced maintenance. Our E-Series Steer Axles offer maximum maneuverability and the lightest weight solutions. Spicer® D-Series Heavy-Duty Steer Axles improve vehicle performance. The combination of our technologies ensures long service life and highly durable products. Visit Dana's Steer Axles global page for an overview of all steer axles supplied by Dana globally. Our Spicer® Life Series™ Heavy-Duty Driveshafts make handling heavy loads over time easier. Spicer driveshafts offer 70% more power density. Spicer® Compact Series™ Driveshafts set the standard for vehicle industry. Our broad range of driveshafts offers the best in high power density driveline solutions. Visit Dana's Driveshafts global page for an overview of all driveshafts supplied by Dana globally.